Tia’s words to her unexpected friend encapsulate the core of this book — we find out what’s underneath several masks. But first we’ve got to tie up some plotlines, see the fall-out and repercussions of the third installment (well, all of them, but the third particularly), and deal with a a few more grisly deaths. This picks up right after Nice Try, Afton where we see Afton try to come up with an explanation that anyone will believe for the bloodbath surrounding her. From there, she has to design and implement her endgame to — once and for all — stop her tormentor before she leaves town. This volume is really Afton pulling back the mask little by little to those around her — library patrons, her brother, friends, and even herself. While that occurs, she learns a lot about her brother, friends, and her enemies. A lot makes sense that didn’t before — even if you didn’t realize it needed the explanation until you got it. I was less than satisfied with what was hidden under one mask — but not enough that it ruined things for me. And, hey it leaves a door open (at least a crack) for Jones to use if he wants to return to Afton’s world. So I’m really not going to complain. I’m going to keep this short because I’m afraid I’ll spill something if I keep going. This ends up nowhere near where I thought it was going when I finished Go Home, Afton some four months ago — it’s far better. I really encourage you all to pick these novellas up. Some interesting characters, some very compelling action scenes, and a story that will take you places you don’t expect. 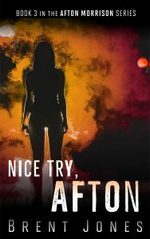 Nice Try, Afton by Brent Jones: Afton’s life gets stranger, more violent, and more open? Things have gone from bad to worse for Afton Morrison, the would-be murderess — not only is she being framed for a murder she didn’t commit, but didn’t; her home has been violated; her understanding of her childhood and family has been shattered; and so many buildings in her town have been burned over the last few days that the police have ordered a lockdown. Again, this is hard to talk about without spoiling Book 1 and/or 2, so I’ll dodge it. Afton’s pushed about to her limit — maybe past it. And pushes herself in new ways. Ultimately, she embraces the violent tendencies that almost pushed her into her first kill back in Book 1 and sets out to put an end to the chaos that surrounds her home town and threatens to burn it all to the ground. There is a hand-to-hand fight scene toward the end of the novella that was fantastic. I’d stack it up against Child, Sharp, Finder, or the like any day. Beyond that there’s some compelling character-focused material. There’s some interesting discussion between the characters on the eternal nature/nurture debate. Afton gets very self-reflective — and maybe grows a little as a result. The emotional beats between the Afton and her family/friends (or the closest things she ahs to friends) are deeper than I expected, and hard-earned. I’ve enjoyed and appreciated the series to this point, but Jones has found a new gear here, and has produced something markedly better than the rest. I’m not sure what he did here that was better — but every scene, every character, every thing, every theme is better written, better focused, sharper — if part 4 lives up to this, it’s going to be a great ending. Argh. I don’t know how to talk about this — it’s so much the second quarter of a story that I’m not sure what to say. Still, I feel compelled to try. This picks up right after the events of Go Home, Afton and continues the story. It’s almost as good — probably about as good, but since we know this world a bit now, there’s not as much of the joy of discovery. That’s the only negative to getting the story told in novella-length chunks instead of one big book, this part isn’t the next good part of the whole. Still, that’s part of the fun of this kind of story-telling, too. I’m not crazy about developments and the reveal in the last few chapters, but I’m not sure I get all that Jones is trying to accomplish. I’m prepared to change my mind about it. Even if he doesn’t convince me that this is the right way to go, I can still see myself enjoying the story as a whole. There’s a crispness, a rawness to the writing that I really appreciate. 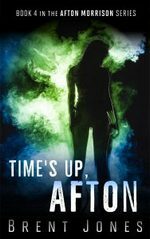 I’m really enjoying the characters of Afton, her brother and the social circle that she’s found herself with (for lack of a better term), and am looking forward to seeing what happens next. Basically, I liked this. You should read the first book in the series, and this one, too. 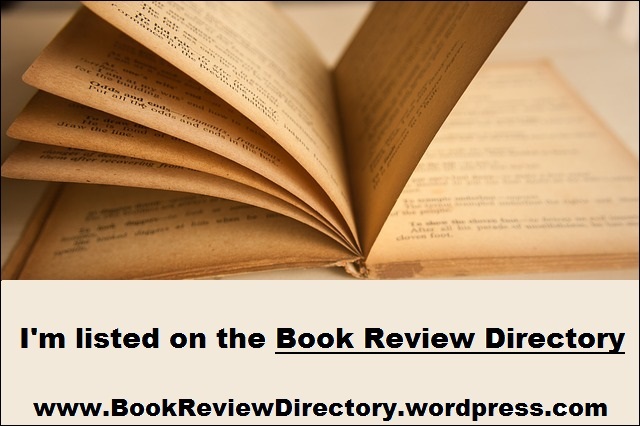 Series: Afton Morrison, Book 1Kindle Edition, 156 pg. I learned over time that the murderess without blood on her hands has a lot in common with a heroin-addicted streetwalker. Both crave a fix, and both are willing to do just about anything to get one. And the longer she has to wait, the more dangerous and erratic her behavior becomes. Afton Morrison, our narrator, has a problem — she has this drive to kill someone. Multiple someones, actually. She’s not a female take on John Wayne Cleaver, though. She’s really at peace with the idea (as much as you can be). She wants her targets to be deserving (in a Dexter kind of way), and she wants to get away clean, so she can do it again. This isn’t your typical take on a Children’s Librarian from a small town public library, but, hey — maybe it should be. She’s found her first victim, follows him, knows his habits, is sure he’s the right guy and is all set to make her move. . . but can’t seem to find him when the time comes. Meanwhile, she’s got to play supportive and attentive little sister to her brother who’s having trouble with his love life. She’s an unwilling mentor to a would-be over-achieving high school student. Plus, Afton’s finding herself with new and unexpected interpersonal connections — none of which she has time for, because he’s got to go kill a man. As soon as she finds him. Also, other complications ensue — Afton may have a well-conceived plan, but she’s going to have a really hard time sticking to it once other people get involved. I like Afton — as much as you can like someone like her. Her brother’s great, ditto for all the other complications in her life — good characters, and (generally) good people. I hope we can find out more about Afton and most of the secondary characters (there’s a couple I’ll ignore for now for spoiler reasons). The writing could be tightened up a little bit. 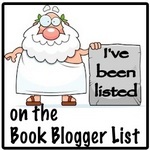 A couple of errors fixed — and I’m going off of an ARC, it’s possible they will be in time for the publication. I think some of the language used by a some of the characters (see Peter, a fellow librarian, in particular) goes over the line — he can be a creep, but when you make him that much of a creep, he becomes a liability. “Can we just spend time with the would-be murderess? I don’t feel quite so dirty reading about her.” But on the whole, the storytelling itself is strong enough that it makes up for whatever deficiencies one may find in the text. A personal note to Mr. Jones: If you don’t stick to your schedule on the following installments, so I have to wait to find out what happens, I’ll…I’ll, I dunno. Tweet nasty things about your mother. Just sayin’ — I need to find out. A fast, fast read that grabbed me from the first chapter and wouldn’t let me go until the end. And even then, it left me wanting more — soon. Thankfully, Jones has his 4-part series scheduled to wrap up this October. 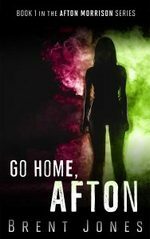 Go Home, Afton is as entertaining as it is intriguing with a protagonist you want to get to know better (even if she’s someone you’d like to see locked up in a treatment facility for at least a few years). So, Afton is a great unreliable narrator. She’s not trying to be one — which is the best part. She’s reporting things to us as she sees them, but she can’t trust what she’s seeing and hearing. Which makes the reader pretty sure they know what’s going on most of the time — but they can never be totally sure.Thankfully, Afton is pretty up front about this. Neither she nor Jones are trying to play games with the reader. I can get behind that. Disclaimer: I was provided with a copy of this book by the author in exchange for my honest opinion. The ensuing addiction was just a bonus.